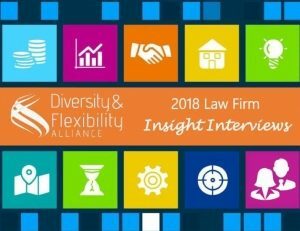 The Diversity & Flexibility Alliance’s New Partner Report is a yearly compilation and examination of data from over 100 of the nation’s largest and top-grossing law firms about the attorneys promoted to partnership in U.S. offices. The Alliance has generated this report since 2012, and the report aims to uncover trends related to the percentages of women promoted to partnership each year.The 2018 New Partner Report is now available! Access the Executive Summary HERE. The 2018 New Partner Report press release can be accessed HERE. Alliance Members may access the full report in the Member Resource Center. The 2017 New Partner Report consists of data for 133 of the nation’s largest law firms, including Alliance member firms. Data for the 2016 New Partner Report has been archived. Data for the 2015 New Partner Report has been archived. Data for the 2014 New Partner Report has been archived. Data for the 2013 New Partner Report has been archived. Our 2018 Law Firm Insight Interviews Study consists of a series of one-on-one interviews with law firm leaders and talent professionals about what’s working and what are the challenges around flexible work and parental leave. 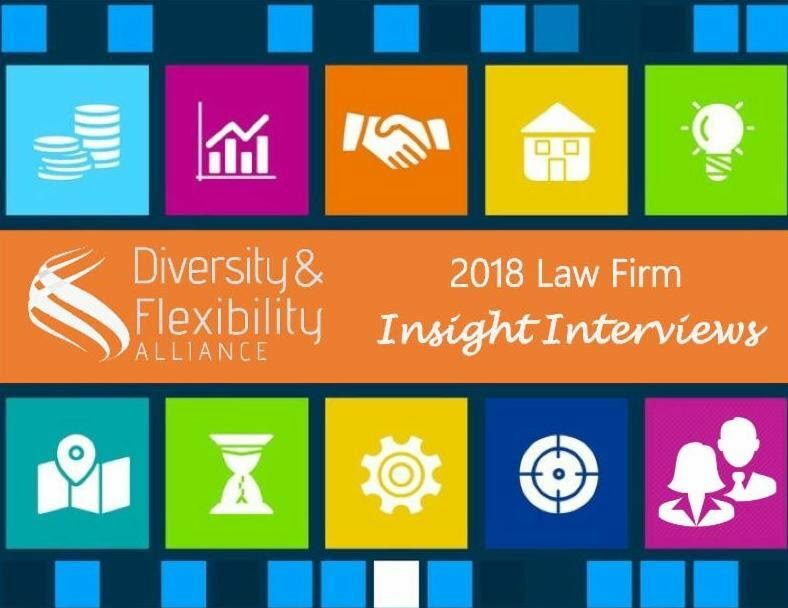 The Insight Interviews Study will provide supplemental research to our Law Firm Flexibility Benchmarking data in order to gain multilayered information in these areas. Participants will receive a detailed report of our findings and interview insights. All interviews will be over the phone and will take approximately 45 minutes. This research initiative is open to member as well as non-member firms. Please contact Sejal Shah, the Alliance’s Manager of Leadership Initiatives, at sejal@dfalliance.com to learn more about our new initiative and how to participate. 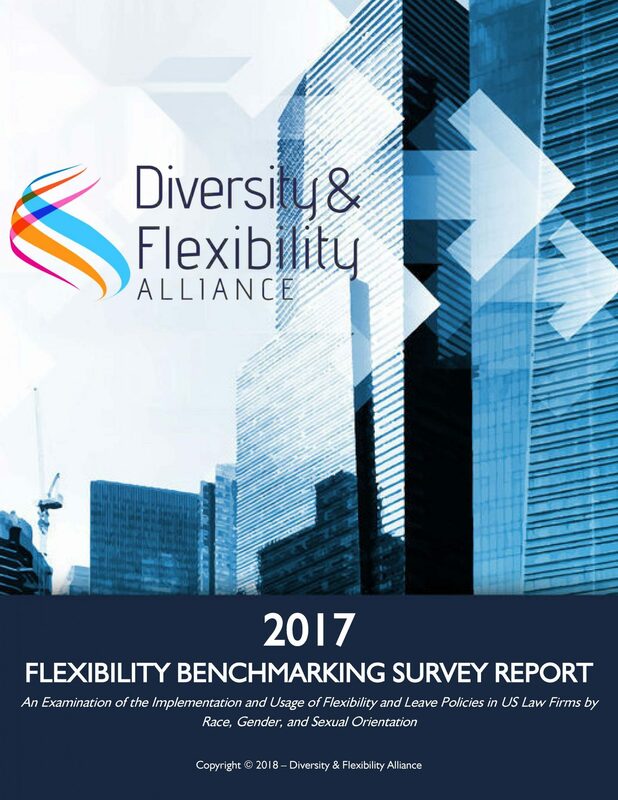 To address the need for more holistic data on flex work usage and in response to member feedback, the Alliance launched a survey to track the progress of workplace flexibility in U.S. law firms. The report examines the types of flexibility and leave policies firms have implemented, how well they are utilized, how working flexibly affects promotion and leadership opportunities, and the types of support available for those who work flexibly. 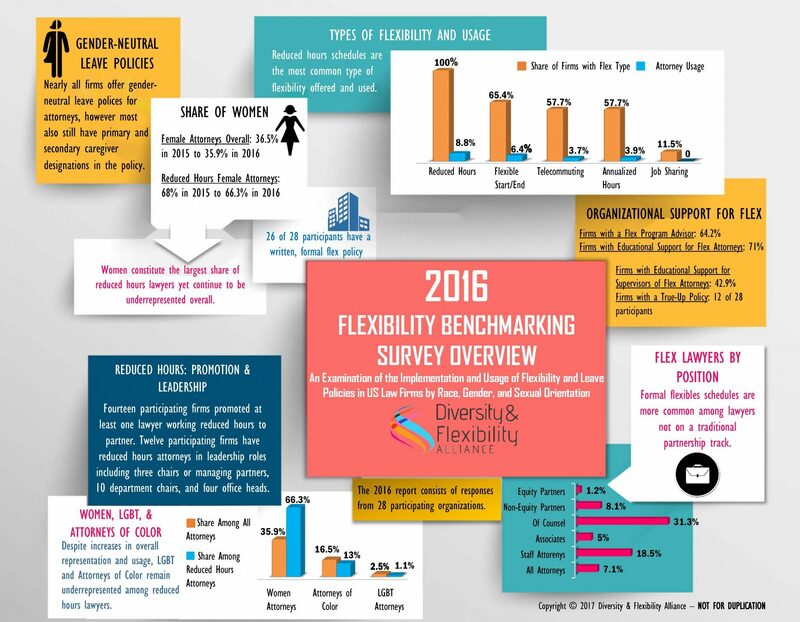 The 2017 Law Firm Flexibility Benchmarking Survey Report, which assesses the availability and usage of holistic flexibility and parental leave policies in large law firms for both attorneys and staff, has been released. The full report is available to members as a benefit of membership through the Member Resource Center. If your company or firm is not a member, you can access the Executive Summary HERE. Contact Sejal Shah at sejal@dfalliance.com for more information. The 2016 Flexibility Benchmarking Survey Report encompasses over 18,000 lawyers at 28 law firms in the U.S. The 2016 Flexibility Benchmarking Survey Executive Summary has been archived. The 2015 Flexibility Benchmarking Survey Executive Summary has been archived. 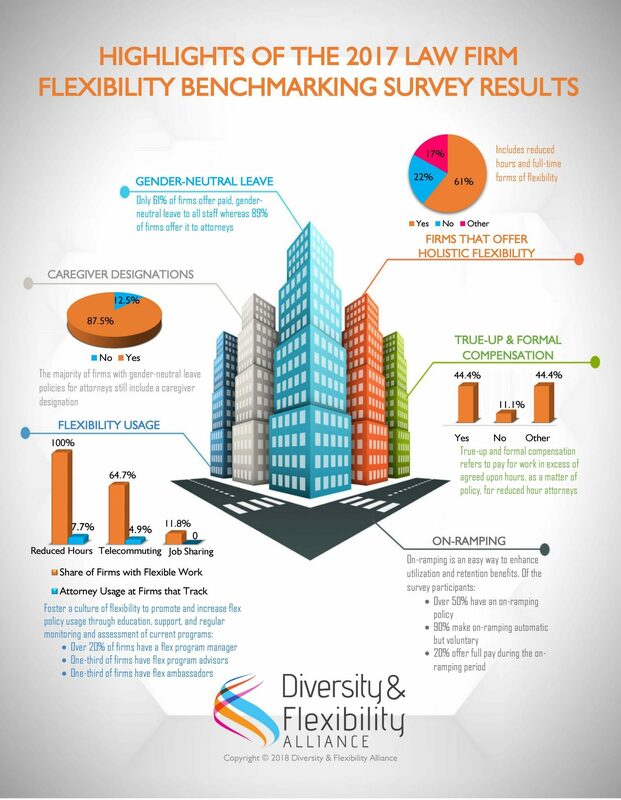 The 2014 Flexibility Benchmarking Survey Executive Summary has been archived. The Corporate Research Initiative will explore the intersection of diversity and flexibility in a sample of the nation’s most prominent companies. This includes examining the availability and usage of flexible work policies, and their relationship to retaining and promoting top, diverse talent in corporate law departments and their broader organizations. If your organization is interested in discussing its diversity and flexibility initiatives, please contact Sejal Shah. For more information about the Alliance’s research initiatives, contact Sejal Shah.